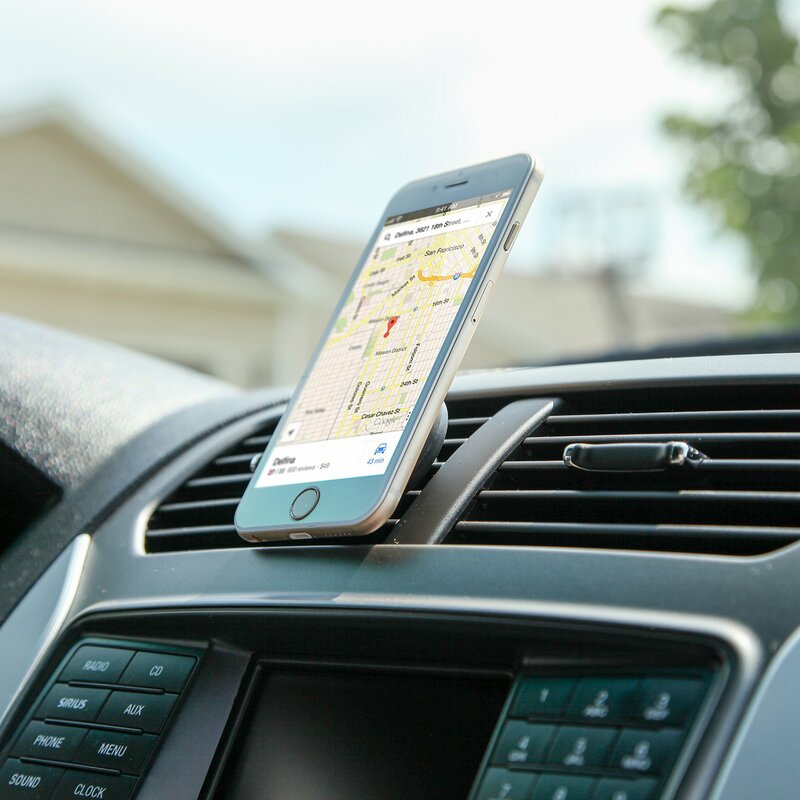 Home › Electronics › Itd Gear Air Vent Magnetic Universal Smartphone Car Mount Holder Compatible W..
Itd Gear Air Vent Magnetic Universal Smartphone Car Mount Holder Compatible W..
Color: Air Vent Vent Car Mount is a sturdy, cradle-less, attractive device. The strong-poweredmagnet will ensure that your device is secure, while the cradle-less featureenables you to completely view your device without any distractions.Compatible with : Most devices and some popular compatible models are asfollows: iPhone 6, 6S, 6 Plus, Samsung Galaxy 5, 6, Edge, HTC 1, LG G4, NexusPhone and more Note: the metal plate/sticker may affect wireless charging forsome devices. Note: This vent mount may not compatible with some round orvertical vents.